A simple recipe for fresh and easy homemade cranberry sauce. Made with real whole cranberries and just 3 other ingredients, this is an easy traditional must-have for your next holiday dinner. This cranberry sauce is a holiday classic (like my roasted sweet potatoes) and deserves a place on your table. Be sure to check out the brief how-to video at the bottom of the post if you’re more of a visual learner! Who here is hosting Thanksgiving dinner this year? Don’t look at me, while I’d love to someday, my biggest contributions to holiday get-togethers usually land on the dessert table. Pecan pie , chocolate pie (with a side of homemade whipped cream! ), these are my usual contributions, but recently I’ve branched out. This year, I’m on a mission to replace canned cranberry sauce everywhere with homemade cranberry sauce. 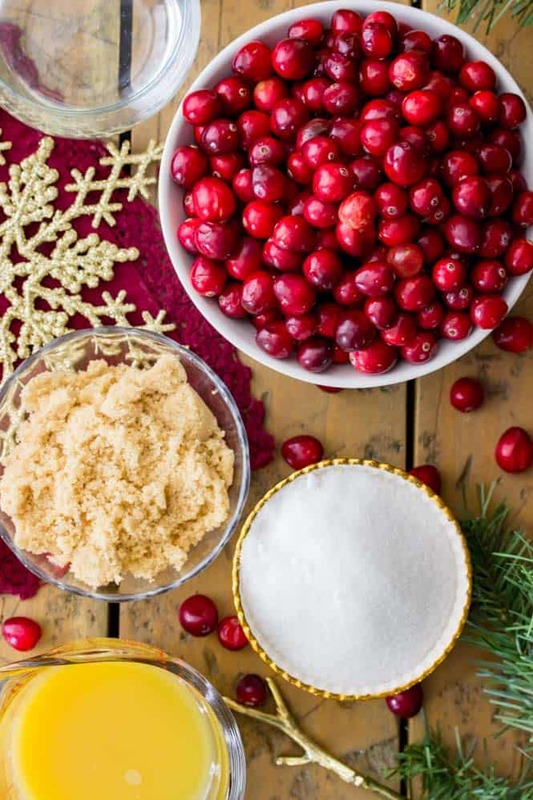 Do you know how easy it is to make homemade cranberry sauce? Just one saucepan and 4 ingredients (5 if you count water, does water count?? 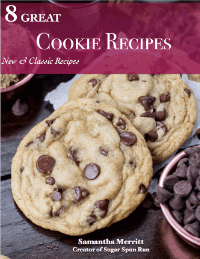 ), this recipe is easy. Cook until berries have burst and desired thickness has been reached. Transfer to a serving dish and chill for at least 2 hours in the refrigerator. Some cranberry sauce recipes use just water, and no orange juice, but I strongly recommend using both. 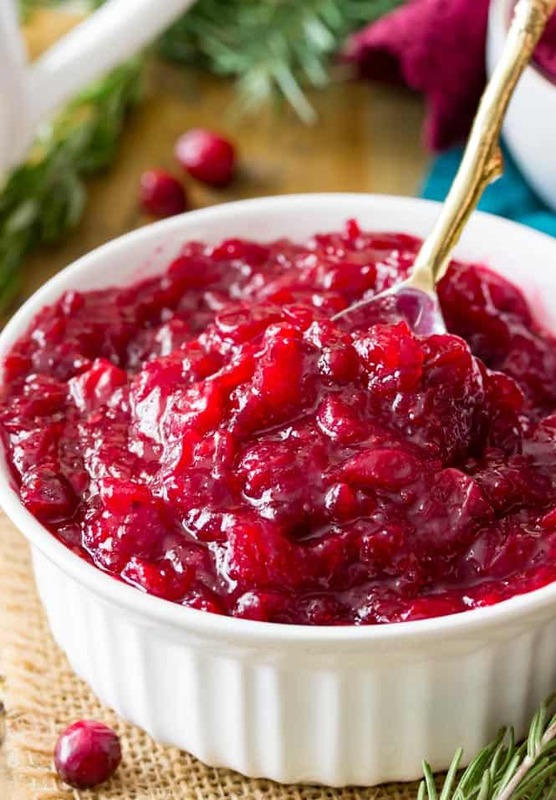 The juice adds a nice bright flavor that really makes this cranberry sauce shine. 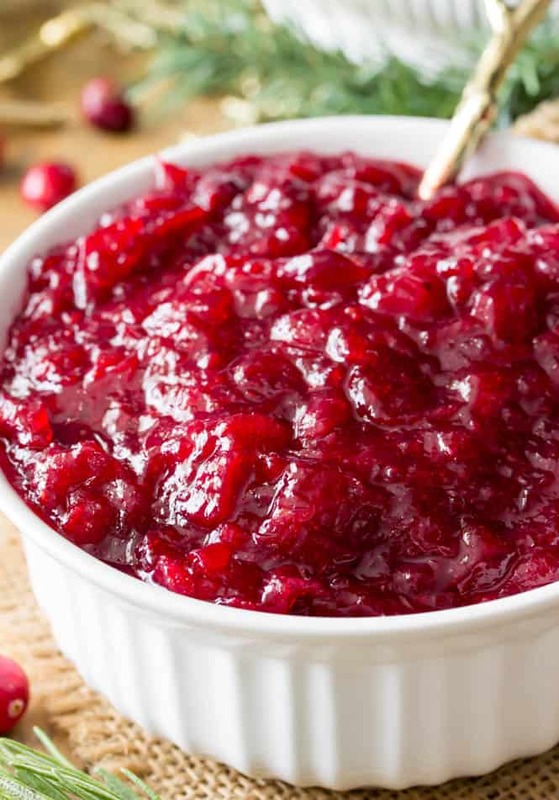 How do You Make Cranberry Sauce Thicker? When cooking your cranberry sauce, you can simmer it as long as needed after your berries burst until the desired thickness is reached. Do keep in mind that your sauce will seem runnier while it’s hot and will thicken as it cools and sets. Can Cranberry Sauce Be Made in Advance?? Yes! 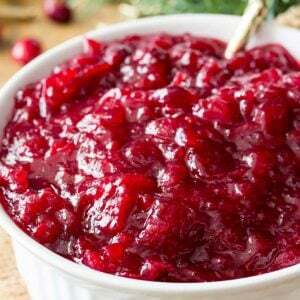 Cranberry sauce requires a minimum of 2 hours in the refrigerator in order for it to thicken and set properly. However, you can make this holiday side dish up to a week in advance. Just be sure to store it in an airtight container. And that’s all there is to making homemade cranberry sauce, no can required! An easy homemade cranberry sauce, made with fresh cranberries and just a handful of other ingredients. Combine sugars, water, and orange juice in a medium-sized saucepan over medium heat. Stir occasionally until sugars are dissolved, and bring to a boil. Reduce heat to simmer and continue to cook cranberries, stirring occasionally, 10-15 minutes or until all or most berries have burst (careful, there is some splatter) and the mixture is slightly reduced. The longer you cook your cranberries the thicker your mixture will be, but it will also thicken up after standing. Transfer mixture to a bowl and allow it to cool for at least 20 minutes at room temperature. Cranberry sauce can be prepared up to a week in advance; keep refrigerated in an airtight container. 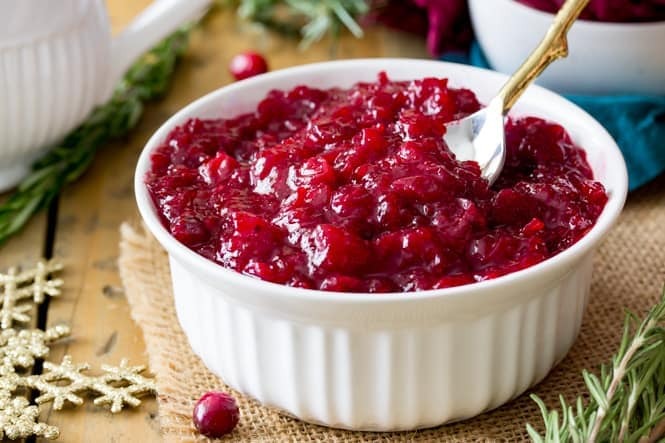 I originally published this Cranberry Sauce recipe 11/20/2017, post has been updated to include tips and more information. I’m so glad to hear you enjoyed!! Thanks for commenting, Susan! <3 Merry Christmas! Sam, the first Thanksgiving batch came out superbly! Everyone loved it and we will not go back to jelly. My brother-in-law used it on every bite! The kids were disappointed it was gone after the first leftover sandwiches! Can I use coconut sugar in this recipe? Hi, Janice. I haven’t used it, but I think that will be fine. It will change the flavor a little bit. Ok. First ever post anywhere! I was concerned about the “berry texture” hating world and recalled my first taste as a 9 year old (now 46) and have been jelly ever since. I could eat it out of the can. I’m going old school and as my Dad says, “Do the recipe first and tweak it later” I have all my ingredients lined up and was enthused about blending it. It’s 7:51 in the West coast. I’m going in. Thank you and Happy Thanksgiving! So happy to hear this! Thanks for letting me know how it turned out for you, Happy Thanksgiving, Vanessa! I just made this and it is DELICIOUS. I did not have light brown sugar on hand, so I used dark. My husband says he’s never had homemade cranberry sauce that he liked and, if he doesn’t change his mind with this, he’s bonkers. I used an immersion blender in order to make it smooth like the offending, canned, retain-the-seams kind, and can’t wait to serve this as an alternative on Thanksgiving day. This is a simple recipe that comes together quickly and will be my go-to from now on. Thank you! Oh my goodness!! I was looking for a simple recipe. You can’t get any more simple than this. It was delicious!! we don’t like the hulls of the popped berries either…. i simply strain it. it takes some effort – push it through w/a wooden spoon! So much better than canned versions – and so easy to make. I add some orange zest as well. You are such a great cook, Sam! Can you use frozen cranberries or do they need to be fresh? I have never made Cranberry sauce before & the homemade recipes do look good & easy to make. Thank you! How about adding nuts, celery and maybe some cherries? Have you ever tried that? I am sure you could add nuts and maybe cherries, but I don’t think I would recommend the celery. I used an immersion blender as my 62 yo brother likes it smooth. It was delicious! Was it like the jellied cranberry sauce? Can this be frozen for use later? Can you use a masher so as to not have whole cranberries? Some family do not like whole cranberries! Hmm, I’m not sure about using a masher, but if you cook it long enough the berries will all burst and you won’t have whole berries any longer. This is not the same as or as smooth as jellied cranberry sauce though, it sounds like that might be what you are looking for. This is my son in laws favorite, always have to make extra. As for those that do not like the berries, I just keep a can of jellied cranberry sauce on hand. Keep it simple, more than enough going on preparing for that big meal. Sam in SA it is hard to find the fresh cranberries but we certainly have dried ones in abundance can I turn the dried ones into a nice cranberry sauce. Unfortunately the dried ones wouldn’t work, but by chance can you find frozen ones? Frozen cranberries would work for this recipe.